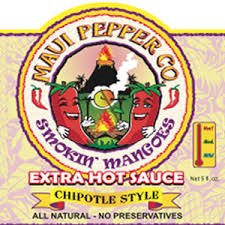 Maui Pepper Co. hot sauces are another great line of products from Tahiti Joes. Like "Joes", these sauces feature unique pairings of fruit with a variety of scorching hot peppers. Each sauce is island inspired with tropical flavors and plenty of heat. Thanks to Tahiti Joe, I've had a bit of experience with sweet, Polynesian hot sauces. However, I've never tasted anything like the flavor combinations that Maui Pepper Co. has put together. The sauces are the sweetest I've tasted. However, you don't get to enjoy that sweetness long because it's followed up by a wave of heat. There are currently nine different offerings in the Maui Pepper line. The entire product line is intriguing, but I will focus on two particular sauces for this review. Strawberry Meltdown and Chipotle Raspberry sounded so strange (and delicious) that I had to try them immediately. The base for nearly every hot sauce that I've encountered has been vinegar and peppers. Strawberry Meltdown completely bucks tradition by using sweetened strawberries as the primary ingredient. They even add honey and apple juice for additional sweetness. So far, it sounds like a dessert syrup that you'd drizzle over ice cream. I was really surprised by the sauce's sweetness when I first tasted it. I'd never had a hot sauce that was quite so sweet. That initial surprise was followed by slow building burn. The sauce is hot, but not "super hot". Having never actually tasted a strawberry sauce before, I wasn't sure what to use it on. However, I found several potential applications. It's great on things like grilled fish or chicken. Strawberry Meltdown adds a nice bite to fresh salads. It can also be used to add heat to your favorite sweets.....even ice cream. Chipotle Raspberry is another sweet offering from Maui Pepper Co. Though I didn't find it nearly as sweet as Strawberry Meltdown, it still had a distinct fruit flavor. This sauce uses vinegar, raspberries and mangoes for it's sweet and tangy base. It too, is great for chicken and seafood. Maui Pepper Co. proves that hot sauces don't have follow a particular set of rules. With creative and deliciously sweet flavor combinations, these sauces have carved their own niche in the market. 0 Response to "Maui Pepper Co. 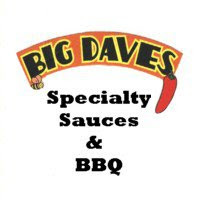 Hot Sauces"